Join with us for an amazing week of loving our community in practical and intentional ways! 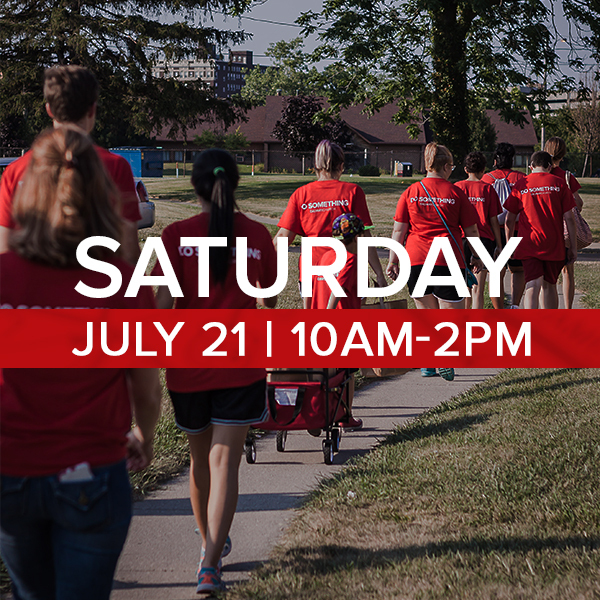 From July 16-21, we will Love the 419 by reaching out and serving one of our local neighborhoods. No matter your age, schedule, or skill, there is a project for you! Let’s bring life change to Toledo! Projects will include neighborhood cleanup, sports camps, grocery giveaways, landscaping, painting, and more. 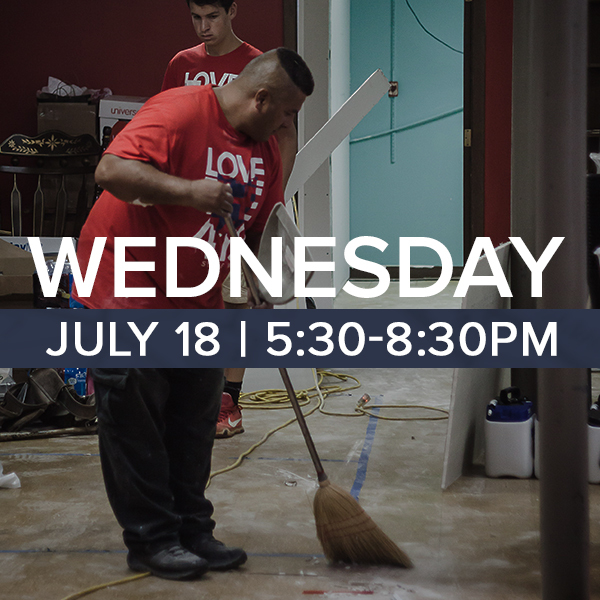 Don’t forget to join us for for a special Serve Week Kick Off Night on Wednesday, July 11, at 7pm as we learn about the week, meet the pastors of The Tabernacle, hear specific instructions, and pray for the volunteers, projects, and every person that comes across our path as we share the love of Jesus Christ. After a time of worship, we will divide into project teams and head into the community. We ask that each family or individual bring a case of water to donate to the week along with any project specific supplies you might need. If you would like to do a specific Project, see below for additional supplies needed. Be sure to bring water and sunscreen since most projects are outside! Comfortable clothes that you can work in and your red Love the 419 shirt. If you don’t have a shirt, you can pick one up when you check in. 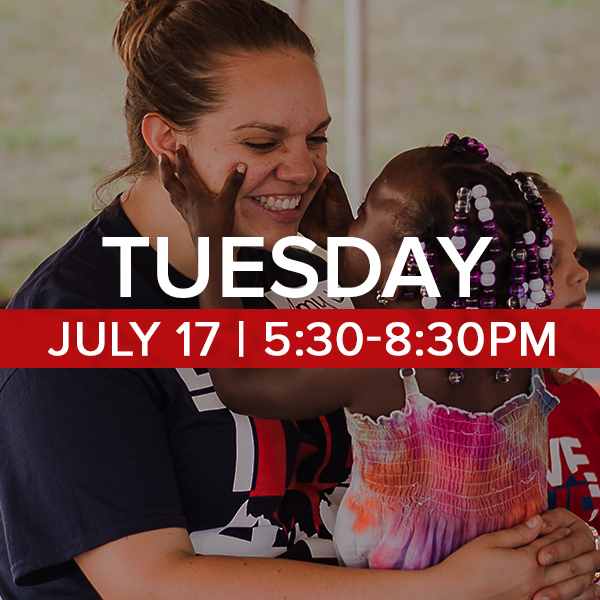 Let’s bring Life Change to Toledo as we partner with our friends at The Tabernacle in a new neighborhood at Dorr and Detroit. Sign up now for a time slot that fits your schedule! Bless the community by washing windows for local businesses. *Bring a roll of paper towels. 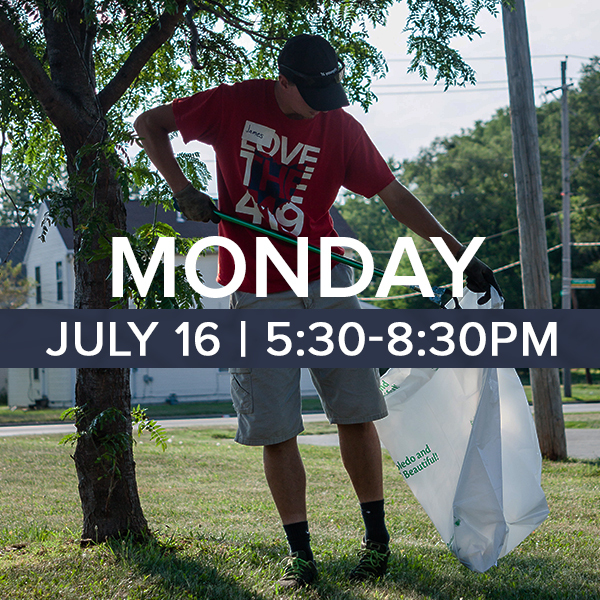 Teams will go street-to-street to pick up trash, blessing not only the neighborhood, but also adding beauty to the community. *Bring a roll of heavy-duty garbage bags. Show some love by helping with mulch, planting, and weeding. 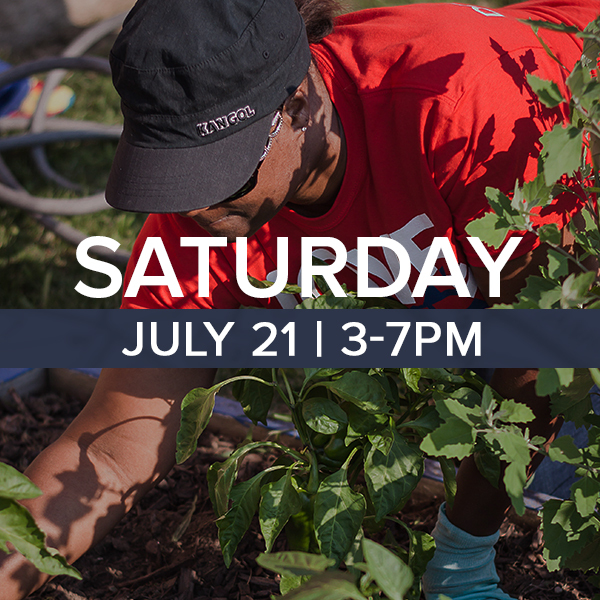 *Bring work gloves and personal yard tools to use. Every day there are heroes in our community who work hard to help others. We will say thanks by delivering gifts and dinner. We will host a sports camp for neighborhood kids (1st – 5th grade) teaching sports technique, character quality, and Bible lesson. As the team’s head into the community, this team will stay back to cover the work in prayer! Games, activities and a Bible lesson for kids from the community. Painting rooms inside the church and painting a mural in the community. 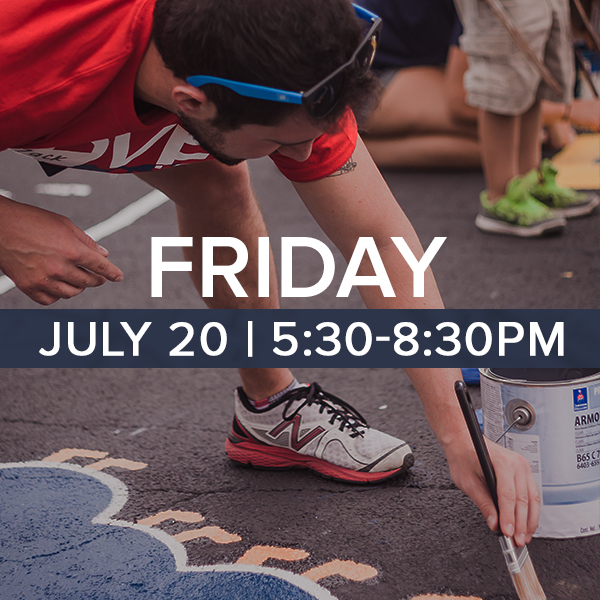 *Bring a paintbrush and paint roller. On Saturday, we will host a free indoor movie for the community. Each night, we will head to a new street and throw a party for those that live there. Dinner, music, giveaways, and more! 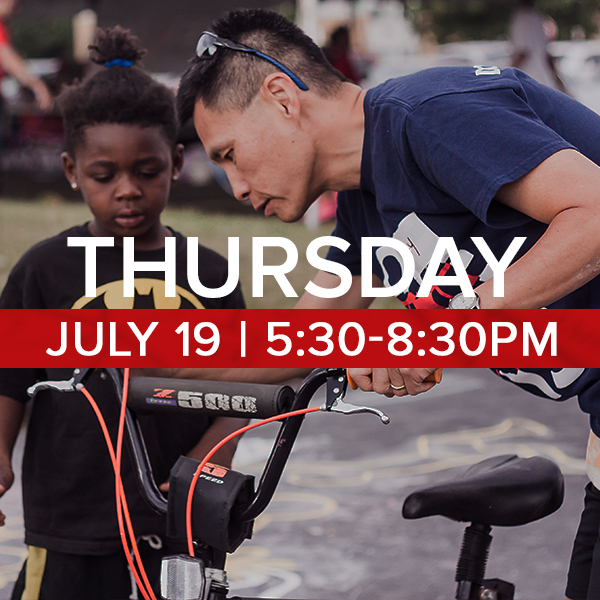 In teams, we will go out and invite the neighborhood to their Neighborhood Block Party.